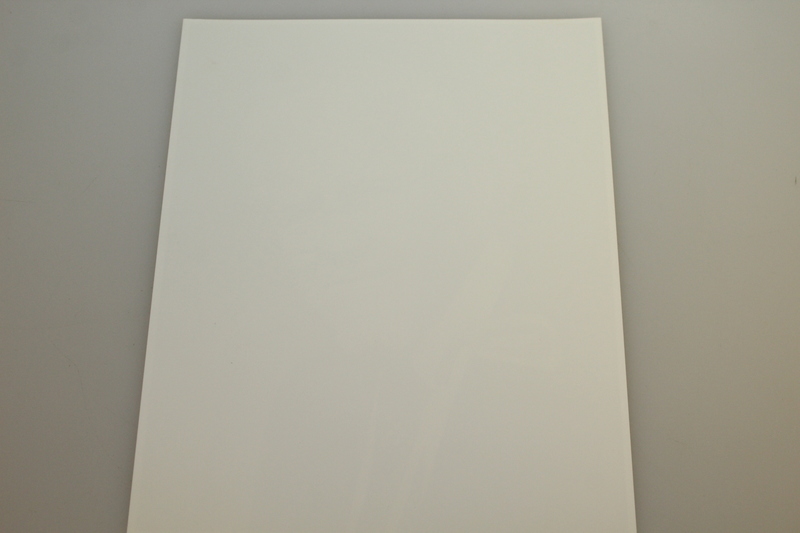 8" x 10". 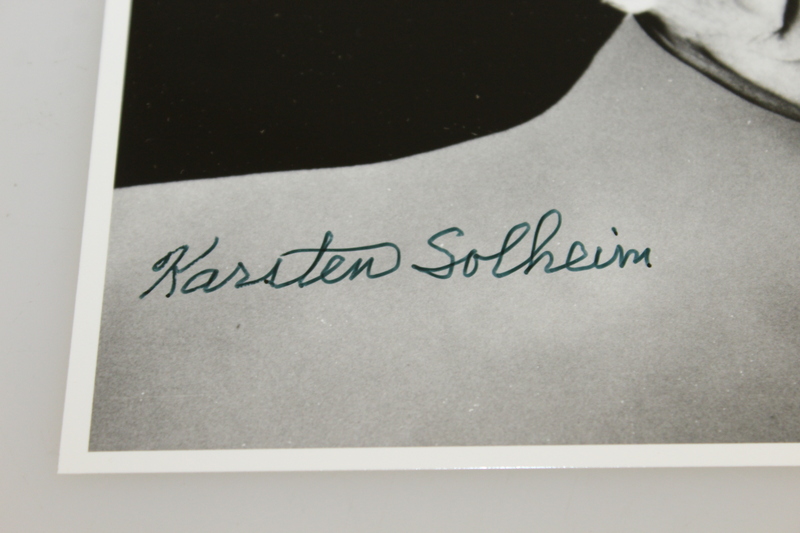 Karsten Solheim founded Karsten Manufacturing, a leading golf club maker better known by its brand name of PING, and the Solheim Cup, the premier international team competition in women's golf similar to the Ryder Cup in the mens game. Solheim was an engineer by trade who with this knowledge became the first to stress scientific principles in golf club design. His perimeter weighting theory revoluntionized the design of first putters in the 1960's which was later followed by irons and drivers. 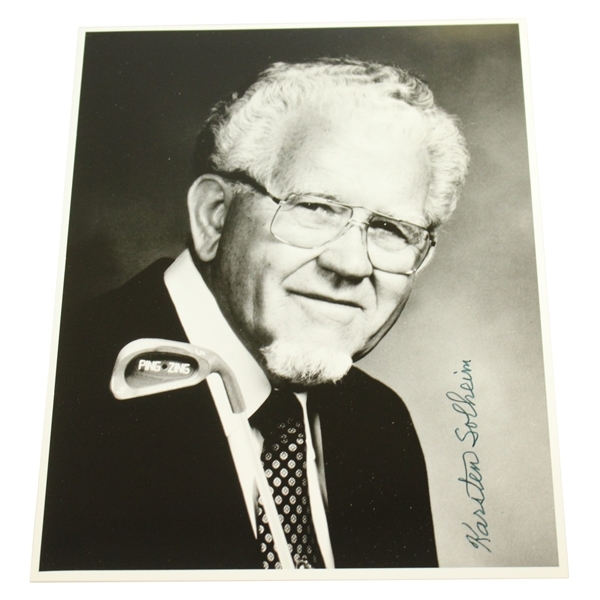 Solheim passed in 2000 and was elected to the World Golf Hall of Fame. This lot contains a signed photo of Solheim.